THE Ministry of Education (MoE) yesterday issued a list of private formal educational institutions registered with the MoE, for 2018. SELARAS dengan Wawasan Brunei 2035 dalam usaha untuk mengukuhkan pengamalan dan juga penghayatan nilai-nilai keBruneian dalam kehidupan bermasyarakat dan bernegara, penulis telah menerima undangan untuk membentang satu kertas kerja dalam Seminar Manuskrip-Manuskrip Borneo yang bertemakan Melestari Warisan Bangsa. Seminar yang memfokuskan perbincangan mengenai manuskrip-manuskrip lama Borneo telah diungkayah oleh Pusat Sejarah, Kementerian Kebudayaan Belia dan Sukan. Ianya melibatkan penyertaan dari dalam dan luar negara di mana sebanyak 53 kertas kerja telah diketengahkan khususnya 37 pembentangan dari negara dan wilayah di Kepulauan Borneo, Indonesia dan Malaysia yang berlangsung selama dua hari pada 27 hingga 28 November 2017 yang lalu. 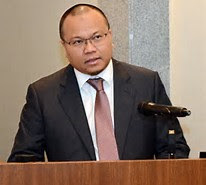 BRUNEI Darussalam is making major strides in overall infrastructure development, scoring high among the Southeast Asian economies along with Indonesia and Singapore, according the latest global competitiveness report released by the World Economic Forum (WEF). 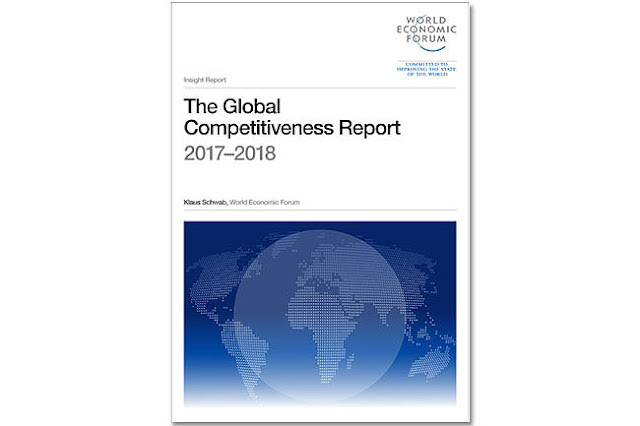 The WEF looked into quality as well as availability of roads, railroads, ports, air transport, electricity, and telephone services of each economy to produce an overall ranking. The Sultanate scored 4.4 out of 7 in the 2017-2018 report and ranked 60th globally, from 3.9 out of 7 and 78th position in the previous report. Brunei scored high in quality of roads with a score of 4.8 and ranking 33rd globally; electricity supply (score 5.4, ranking 53); and mobile phone subscription (score 120.7, ranking 61). BY COMMAND of His Majesty Sultan Haji Hassanal Bolkiah Mu’izzaddin Waddaulah ibni Al-Marhum Sultan Haji Omar ‘Ali Saifuddien Sa’adul Khairi Waddien, Sultan and Yang Di-Pertuan of Brunei Darussalam, the Office of His Majesty yesterday announced that His Majesty with great pleasure named His Majesty’s granddaughter and the daughter of His Royal Highness Prince Haji Al-Muhtadee Billah, the Crown Prince and Senior Minister at the Prime Minister’s Office and Her Royal Highness Paduka Seri Pengiran Anak Isteri Pengiran Anak Sarah binti Pengiran Haji Salleh Ab Rahaman as Yang Teramat Mulia Pengiran Anak Faathimah Az-Zahraa’ Raihaanul Bolkiah binti Duli Yang Teramat Mulia Paduka Seri Pengiran Muda Mahkota Pengiran Muda Haji Al-Muhtadee Billah. 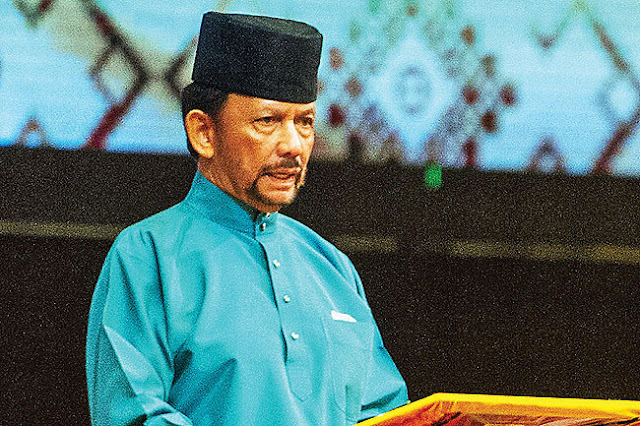 OPPRESSION in all forms, especially from those entrusted with power and authority, cannot be tolerated and must be rooted out of the country, said His Majesty Sultan Haji Hassanal Bolkiah Mu’izzaddin Waddaulah ibni Al-Marhum Sultan Haji Omar ‘Ali Saifuddien Sa’adul Khairi Waddien, Sultan and Yang Di-Pertuan of Brunei Darussalam. Delivering a titah at the Istana Nurul Iman which was broadcast on state television and radio on the eve of Maulidur Rasul, or the birth anniversary of Prophet Muhammad (pbuh), for the year of 1439 Hijrah, His Majesty highlighted the noble character of Prophet Muhammad (pbuh) who denounced repression and advocated fairness in his efforts to broaden the reach of slam. “In this age full of turmoil, justice is tainted by irresponsible and ruthless parties who steal away people’s happiness by means of oppression. BY COMMAND of His Majesty Sultan Haji Hassanal Bolkiah Mu’izzaddin Waddaulah ibni Al-Marhum Sultan Haji Omar ‘Ali Saifuddien Sa’adul Khairi Waddien, Sultan and Yang Di-Pertuan of Brunei Darussalam, it is hereby announced that His Majesty has consented to the appointment of Dato Paduka Dr Haji Md Isham bin Jaafar, Executive Director, Medical Director and member of the Board of Directors of Jerudong Park Medical Centre, as Minister of Health to replace Dato Seri Setia Dr Awang Haji Zulkarnain bin Haji Hanafi. 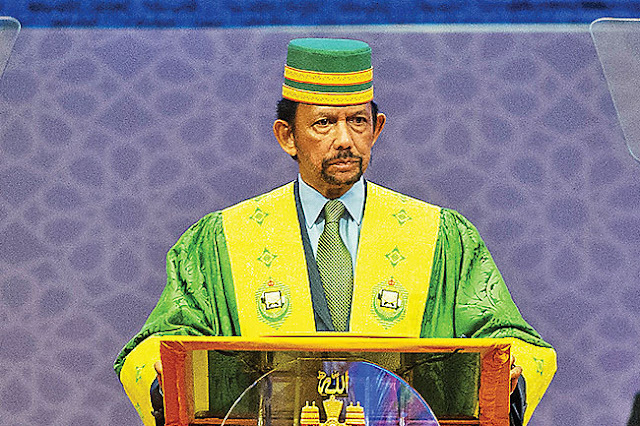 THOSE who are given power must not abuse it for self-interest or to mistreat people, said His Majesty Sultan Haji Hassanal Bolkiah Mu’izzaddin Waddaulah ibni Al-Marhum Sultan Haji Omar ‘Ali Saifuddien Sa’adul Khairi Waddien, Sultan and Yang Di-Pertuan of Brunei Darussalam. “Good public servants are those who serve honestly and sincerely, and not who are efficient but disloyal. Efficiency is not worth if it is used to persecute people,” the monarch noted in a titah delivered on the occasion of the 24th Civil Service Day Celebration at the International Convention Centre (ICC) in Berakas yesterday. “I don’t want to see a public service that abuses power or making defamatory remarks. This does not bring in any good, but rather invites acrimony. Public service must be clean from all negative elements for the nation and government to be blessed. HIS Majesty Sultan Haji Hassanal Bolkiah Mu’izzaddin Waddaulah ibni Al-Marhum Sultan Haji Omar ‘Ali Saifuddien Sa’adul Khairi Waddien, Sultan and Yang Di-Pertuan of Brunei Darussalam called on the need to take action against those who spread distorted views on Islamic practices. Delivering a titah at the opening ceremony of the Knowledge Convention 2017 to mark the monarch’s 71st birthday, His Majesty said appropriate measures should be initiated against those who repudiate the Tahlil practice, reject the practice of paying respects to the deceased at cemetery and question Maulidur Rasul (birthday celebration of Prophet Muhammad) (pbuh) as well as the recitation of Al-Quran before commencement of work and so on, on the ground that these were not established by Prophet Muhammad (pbuh). 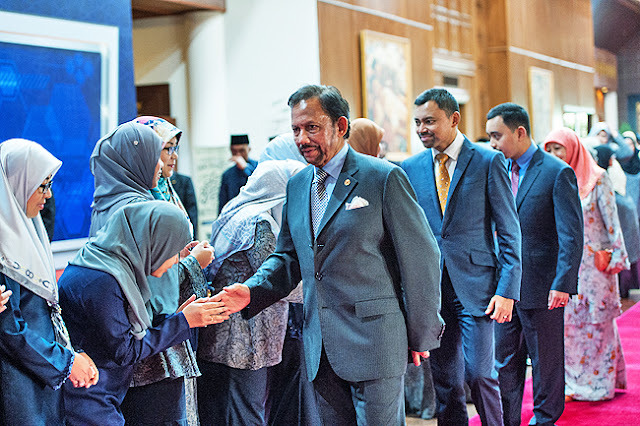 BY COMMAND of His Majesty Sultan Haji Hassanal Bolkiah Mu’izzaddin Waddaulah ibni Al-Marhum Sultan Haji Omar ‘Ali Saifuddien Sa’adul Khairi Waddien, Sultan and Yang Di-Pertuan of Brunei Darussalam, the Prime Minister’s Office announced that His Majesty has consented to the appointment of Hajah Mardiana binti Haji Omar, Acting Director, Department of Politics I, Ministry of Foreign Affairs and Trade as Deputy Permanent Secretary at the Ministry of Foreign Affairs and Trade. The date of appointment is effective today. 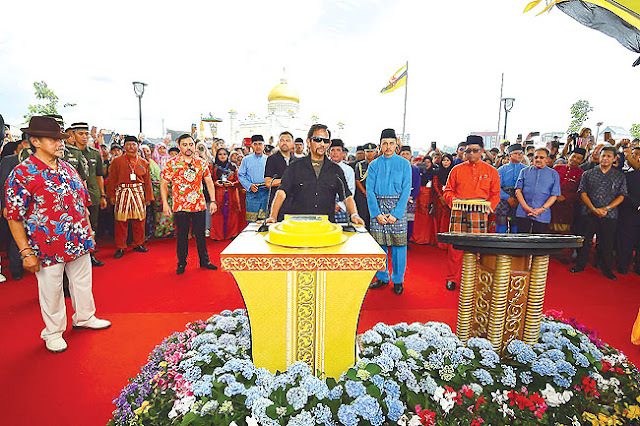 CITIZENS and residents from all four districts descended on the capital of Bandar Seri Begawan yesterday, to witness yet another historic event to mark the Golden Jubilee of His Majesty Sultan Haji Hassanal Bolkiah Mu’izzaddin Waddaulah ibni Al-Marhum Sultan Haji Omar ‘Ali Saifuddien Sa’adul Khairi Waddien, Sultan and Yang Di-Pertuan of Brunei Darussalam’s Accession to the Throne. One of the main highlights of the month-long Golden Jubilee Celebration – the Junjung Kasih and Kesyukuran ceremony and official launching of the newly-completed Taman Mahkota Jubli Emas – saw thousands of people from all walks of life flocking the capital to express their undivided loyalty and gratitude on the occasion of His Majesty’s 50-year reign, which has brought about peace and prosperity to Brunei. 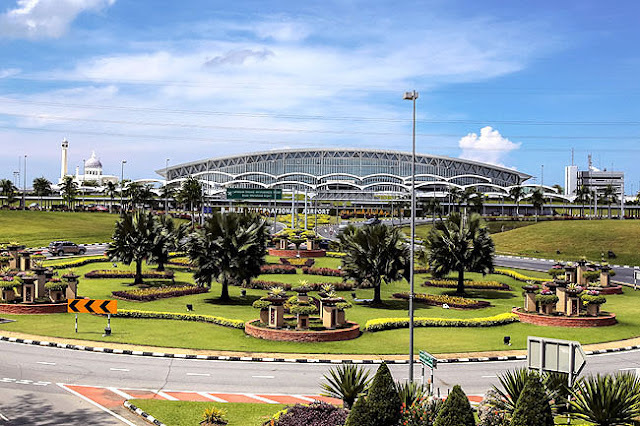 BRUNEI International Airport has been ranked among the top 25 best airports in Asia in a survey report released by international travel website Sleeping in Airports recently. The country’s main gateway which completed a B$130-million modernisation project at the end of 2014 was ranked in the 20th place in the 2017 survey. The Brunei International Airport was not ranked in the previous year’s edition of the survey. Singapore’s Changi Airport remains Asia’s best, followed by Seoul Incheon International Airport in South Korea, Tokyo Haneda International Airport in Japan, Hong Kong International Airport, and Tokyo Narita International Airport in Japan. TO CELEBRATE World Reading Day and foster interest in reading and writing, Awang Semaun Secondary School on Wednesday invited three prominent figures from the local literary community to share inspiring stories with its Year 9 students. The speakers for the sharing session – organised by the literacy committee of the school and held at the school library – were Haji Mohd Rozan bin Dato Paduka Haji Mohd Yunos, a well-known local writer; Nellie binti Dato Paduka Haji Sunny, President of the Brunei Darussalam Library Association (BLA); and Kamarul Dzaman Ajimain of GeekInWhite.com. Marina Chek binti Haji Bujang, the Acting Senior Special Duties Officer (Professional) at the Department of Schools of the Ministry of Education, attended as the guest of honour. 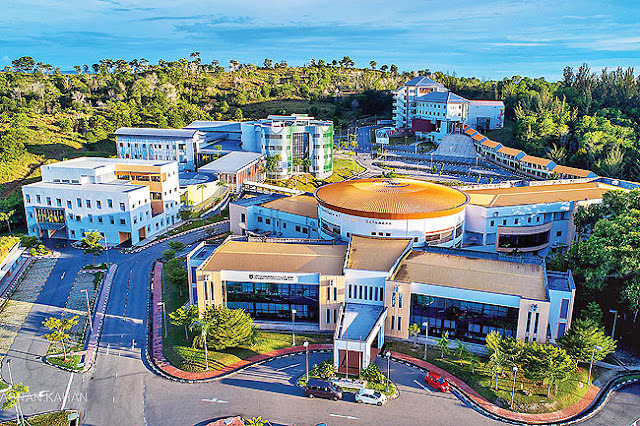 UNIVERSITI Brunei Darussalam (UBD) is now ranked 105 in Asia in the latest Quacquarelli Symonds (QS) Asian University Rankings, up from 123 last year. This makes UBD one of the fastest rising universities in Asia, moving from 171-180 in 2014, 118 in 2015, to its highest position to date at 105. With almost 12,000 universities in Asia, UBD is now among the top one per cent of universities in Asia. UBD broke into the QS Asian University Rankings in 2014. Prior to that, UBD was an unranked university. Less rigorous ranking exercises placed UBD in the 2,500 to 3,500 range. UBD performed particularly well in several of the key indicators of teaching, being top 20 in Asia in five categories – 20th in international students, 11th in international faculty and 11th in faculty-student ratio. UBD did particularly well in international exchange, ranked number one in Asia for both inbound and outbound students.